How can I get the smokey flavour in Hor Fun? I made Hor Fun (not the linked recipe in specific) the other day for my girlfriend who loves the dish. However, her critique was that it lacked the distinctive smokey flavour of the dish. When it's made traditionally it's done over a massive fire and this gives it the smokey flavour. In a standard kitchen the gas burners are far smaller than that, so how can I achieve the same smokey flavour for this dish? Another option is Smoked Paprika. As Jolene wisely cautions, those liquid smoke products are very strong. And even though it might be "natural" smoke flavor, it can lend a "synthetic" taste to delicate foods. Smoked Paprika has a much more subtle smokiness. Of course, it will also add color and additional flavor of its own. It sounds to me like this would work well with the recipe you linked, but you might try adding it first to just a small amount of your dish and see if you like the taste. 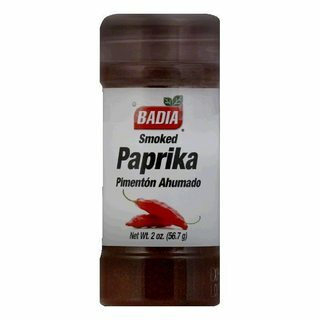 In any case, Smoked Paprika is an inexpensive addition to your spice rack that can be used to enhance many foods with a bit of smokey flavor. To add smoky flavor, you can add a drop of liquid smoke. Do it drop by drop - be careful, it's easy to use too much and not be able to taste anything else. 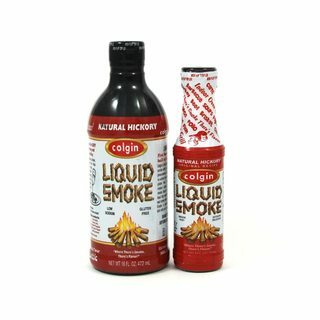 Liquid smoke is actually made by distilling smoke and it really does add a flavor much like putting the food in a smoker (or a big fire). I would suggest either using a commercially available liquid smoke product added after the stir-frying stage. The proper proportion would require some experimentation. Or you could try using a stove top smoker to smoke the meat & (dried) noodles beforehand, (perhaps something par-cooked similarly to the way instant ramen noodles are so there is fat in the noodles to hold the smoky flavor). For what it's worth, if you cannot easily obtain a commercial liquid smoke, there are many results found on google with instructions on how to make it yourself. While the some of the other answers point to liquid smoke or actual smoke, I would suggest that the flavour doesn't primarily come from the smoke generated by the fire/stove, but by the wok, the oil and technique itself. Real smoke penetration is a inherently slow process. Stir frying is an extremely fast process. On one of those woks as pictured in your image, the food is cooking in seconds. Having grown up with the dish, I've had plenty of it that was cooked well but not done on a professional wok burner. I can also guarantee you that none of it ever had liquid smoke, paprika or coffee. I think what you'd lose from changing the dish's flavours would be worse than the added "smokiness". If you do have a good wok and stove, you want to get it screaming hot. 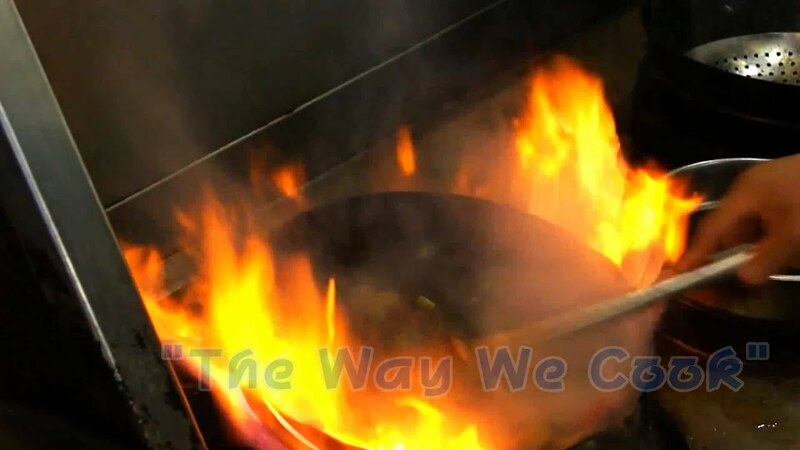 If your stove doesn't get hot enough, and your wok is oven safe, you could try preheating it in the oven (Chef Ming Tsai demonstrating this solution). If you can't do any of the above, I would try a flat skillet as the closest western equivalent. You want to get it really hot and recover the heat quickly while you're cooking. A skillet will be better for that than a wok and a under powered stove. From there it just comes down to finding the right balance of sauces, seasonings. Another, non-commercial option is to add a bit of strong coffee. I learned that trick making chili-con-carne. You wont have to buy it in, and it will not add a strong additional taste like smoked paprika (which will alter the taste of your dish quite substantially...). Now, if you like the taste of paprika, you can use fresh sweet peppers, roast them in the flame of a gas burner until they are black, peel them and add them to your dish. That will give a fresh paprika and smokey taste, much more vibrant than using powder. But you will change the dish, of course. Once you finished cooking, put the noodle in a dish and separate about a 1/4 in a separate bowl. Then wash the wok. Heat the wok dry to super super hot. While it's heating combine 1/4 cup of oil (peanut, ricebran, whatever...) and combine with a teaspoon of sesame oil. Toss it into the piping hot wok, then set it alight with a stove lighter (or if you’re good tip the wok to the flame to set it alight), and immediately put the flame out with the 1/4 bowl of noodles. Keep stirring and add the other 3/4 of the noodles. It's almost authentic in smokiness. You left out the oyster sauce. If you can't buy liquid smoke locally there is no way you bought oyster sauce. I think that is the flavor she is missing. You could call it smoky but it is more than that; it dense, dark and really good. Instead of ordering liquid smoke order some high end oyster sauce. If that is the flavor she likes, it is good in lots of other things too. A spoonful of oyster sauce makes lots of things good. Try it in barbecue sauce! Not the answer you're looking for? Browse other questions tagged asian-cuisine noodles smoking smoke-flavor or ask your own question. How do I get my spring rolls crispy? How can I recreate the flavour of instant ramen without the salt? What flavour can cut through salt? How can I get the most smoke flavor from Lapsang Souchong tea? How much time do I need to achieve a smokey flavor in bbq? How can I cut the flavour of Worcestershire sauce in a completed Asian dish? How can I separate fresh rice noodles that are stuck together?